Described as an alternative Easter weekend for all the family they are offering a fantastic programme of creative activities, concerts, talks, walks, films and workshops to celebrate spring. Highlights include world music from Andy Sheppard & Kuljit Bhamra and Zoe & Idris Rahman, workshops on Kathak dance and gamelan, and brilliant family theatre from Puppet State Theatre Company’s "The Man Who Planted Trees". As well as performance, films, workshops, exhibitions and talks you can meditate in our Japanese Zen garden, try al fresco Tai Chi, sample the cuisine of Kerala, check out the therapy tent or get the family together to hunt for treats in the glorious grounds. Multibuy Offer: If you book a full price or concessionary ticket for any four different events in the same transaction you can claim the cheapest ticket free. Terms and conditions and conditions apply - please see the website. Dartington is a pioneering charity generating new ideas in the arts, sustainability and social justice. 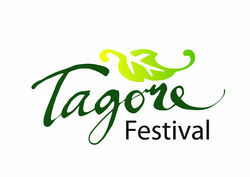 It has historical links to the Indian-Bengali humanist and poet Rabindranath Tagore.